This is a placeholder for a planned profile of the life of Dana Gatlin and her contribution to Unity. If you can help contribute any information, I and many others in Unity would be grateful. Until the profile is complete, here are some resources we have on this wonderful woman. The following was got from the back cover of a book I found in a bookstore. I have forgot the name of the book. But the backcover also included the picture you see to here. 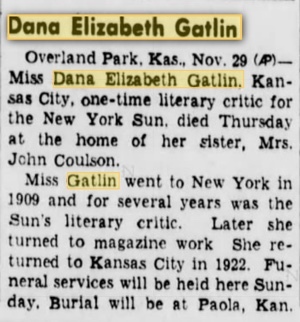 "Dana Gatlin was a reporter and feature writer for the New York Sun, published many short stories and articles for Unity School of Christianity and also appeared in many magazines of her day. " Miss Dana Elizabeth Oatlin. Kansas City, one-time literary critic for the New York Sun. died Thursday at the home of her sister, Mrs. John Coulson. Miss Gatlin went to New York in 1909 and for several years was the Sun's literary critic. Later she turned to magazine work She returned to Kansas City in 1922. Funeral services will be heid here Sunday. Burial will be at Paola, Kan. THE FULL MEASURE OF DEVOTION - fiction written by Dana, copyrighted 1918. She served as a cook for the threshing crews when she returned to Kansas from New York. 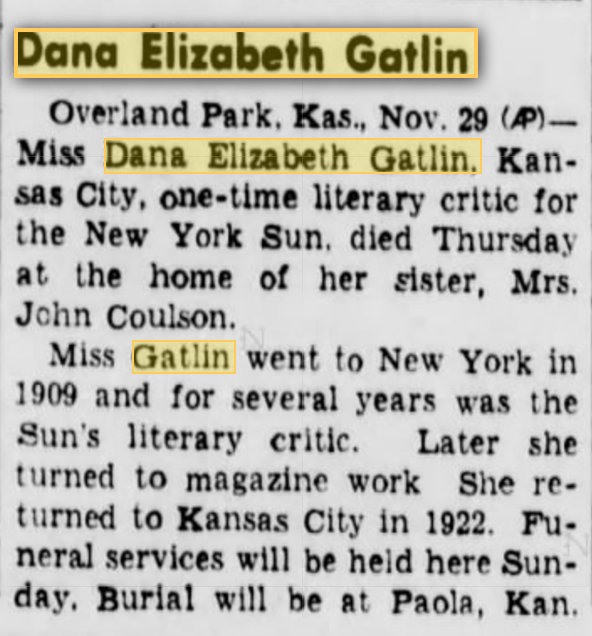 Dana died at her sister's home in Overland Park on November 28, 1940. Her service was by Hoge Chapel in Overland Park, and she is buried in the Paola cemetery in the east section. 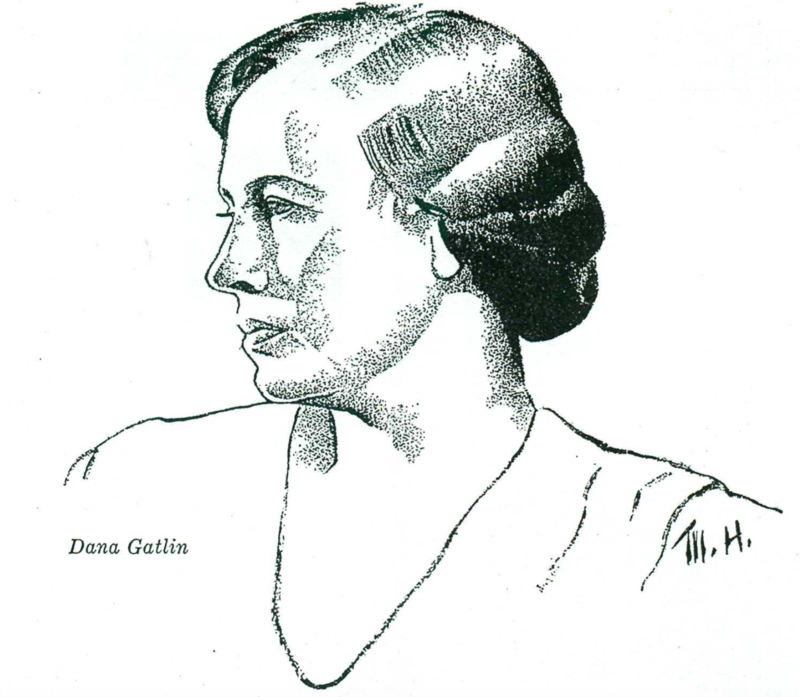 Janet Gatlin, a distant relative, is another resource person for information regarding Dana.